Baron Georges Cuvier (1769-1832) was an influential French naturalist and zoologist who helped establish the field of paleontology. One of his most widely-cited essays, the lengthy, three-part “Memoir on Fossil and Living Elephants” (1806), was the one of the first works to propose that the discovery of fossilized elephant bones in Antiquity gave rise to the myth of gigantic humans. (Hans Sloane preceded him by nine decades.) 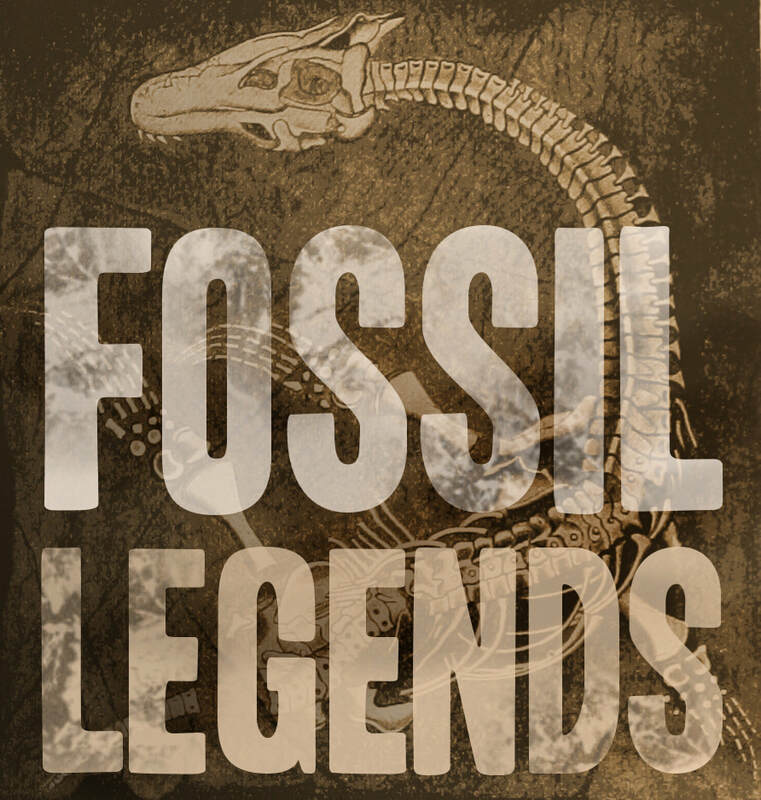 The folklorist Adrienne Mayor cited this monograph as the foundational work for her own theory that fossils inspired the monsters of mythology, though Mayor tells readers that no translation exists. The following translation appeared in 1806 in The Philosophical Magazine. The passages below are those that deal directly with the relationship between fossils and mythology; the entire monograph, including lengthy descriptions of fossils and their locations, can be read here. Note: In the following, I have replaced a Latin quotation of Pliny with an English translation, corrected translator's errors (including missing text), and eliminated footnotes. To describe every place where they have been discovered would be an endless task; suffice it to say, that every country, and every area, has furnished fossil bones. Traces of them are discovered in the writings of the antients. Theophrastus speaks of them in a work no longer in existence, of which Pliny has given us his testimony:— “The author Theophrastus states that fossil ivory has been found of both white and black colors, that bones are produced spontaneously from the earth, and that osseous stones have been found” Lib. xxxvi. cap. 18. It is probable that the bones of elephants have been often taken for human ones; and this may have given rise to the pretended discoveries of the tombs of giants spoken of in antiquity. Of this number the bones discovered in digging a well at Tegea certainly were, although taken for the bones of Orestes and also those seen at Caprea, according to Suetonius, and regarded as the bones of heroes or giants. As to the stories of bodies still larger, such as that of a skeleton 46 cubits in length thrown out of the ground during an earthquake at Crete, and regarded as that of Entellus or Otus; or that of another, of 60 cubits, dug up near Tingis in Mauritania, when Serlorius commanded there, and which was taken for the skeleton of Antaeus; these accounts are certainly exaggerated, or else they have for their origin the skeletons of whales. Strabo, who relates the latter story on the authority of Gabinius, does not hesitate to regard it as fabulous. These erroneous ideas, which arise from a total ignorance of anatomy, lasted to the middle age: even at that period mention is made of giants, and the descriptions of their bones are sometimes so exaggerated that they make them ten times larger than those of the largest elephants if we give credence to the vague reports, often full of contradictions, which are given. As more correct ideas have now dissipated these chimeras, one would think that the elephants whose bones were discovered had been buried by human beings. Thus, so far as these discoveries are confined to Italy, and those countries frequented by the Macedonians, the Carthaginians, and the Romans, they may be reasonably accounted for by reflecting on the prodigious number of elephants possessed by these people. Abbe Nazari speaks of a skeleton at least 18 feet long, dug up in 1665 at Toriolo, in Upper Calabria. It is, indeed, said that it resembles that of a human being; but we know how little credit this comparison is now entitled to. Sicily possesses these curiosities in abundance. Two skeletons were discovered in the 14th and 16th centuries at Trapani and Palermo, and are described by the writers of that age as being those of giants. The account of one of them is shamefully exaggerated; it is described as being 300 feet high: but Kircher, who visited the cavern out of which it was said to have been dug, positively asserts that it could not have been more than 30 feet high. Without mentioning the giant's tooth seen by saint Augustine upon the shores of Utica, and which was as large as a hundred of the human teeth of the present day, the skeleton of the giant dug up by some Spanish slaves near Tunis, in 1559, must have been that of an elephant, more particularly as a second skeleton was dug up at the same place in 1630, which was certainly that of an elephant, as was ascertained by Peyresc. That we may neglect no information on the subject, we have to mention the stories told us by the Spaniards of the giants' bones found in Mexico and Peru. We may find extracts of these fables, accompanied with new and detailed accounts, in the "Gigantologie Espagnole," by Torrubia the Franciscan. What hinders us from applying all these details to the elephant is, that they may owe their origin to the bones of two mastodontes, which are much more common in America than those of the elephant; and no person who has transmitted these details has taken the trouble of giving drawings, or has said any thing that might lead us to distinguish the species. It is true, however, that their pretended giants are now completely extirpated. This enumeration of the places where the fossil bones of elephants have been found, is the result of an investigation which our anatomical labours, properly so called, have not permitted us to render so complete as we could have desired. It is probable that our enumeration would have been much more voluminous if we could have spared time to go over more carefully the works of naturalists and travellers, or the philosophical journals. It is, however, already sufficient to give an idea of the prodigious quantity of these bones which the earth contains, and of what may be yet discovered if such researches are continued, and if they were oftener directed by men of science.